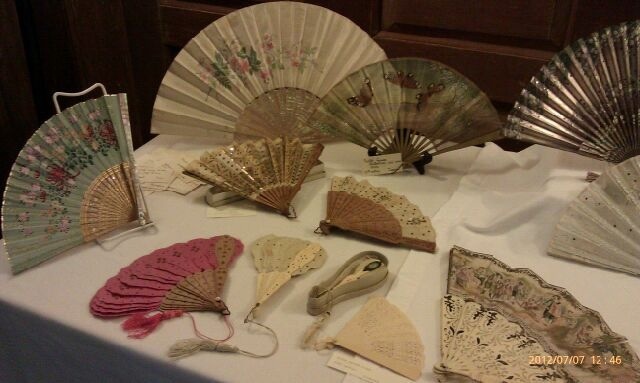 “Adornments,” an exhibit of fashionable accessories from the Victorian era, will be on display at the Colonel Paul Wentworth House in Rollinsford through the month of July. The exhibit features jewelry, fans, handbags, parasols, capes and other items worn by ladies of the Abbott-Goodwin family of Massachusetts from the 1830s through the early 1900s. The collection is on loan from South Berwick resident Jean Demetracopoulos. An illustrated lecture and guided tour of the exhibit will be presented on Thursday evening, July 19 at 7 pm by Julia Roberts and Tara Vose, curators of the exhibit. Admission to the lecture and tour is $5 for the general public and free to ARCH members.